Looking for their first road win of the season, the Duke Blue Devils packed their bags for the O’Reilly Auto Parts/Reese’s Cups/Progressive Insurance CBE Classic in Kansas City, MO. But besides having a floor that resembles a Nascar vehicle, the Sprint Center also provided the boos, the heckling, and general Duke hate that accompanies most road games. What many thought would result into another Duke rout turned into a fierce battle that included all the makings of an NCAA Tournament game. The Marquette Golden Eagles, at the time a perfect 4-0, came into the game with an upset-minded focus that resonated immediately following tip-off. Though Duke jumped out to a 23-9 lead, the Eagles relentlessly chipped away at the Blue Devils and eventually tied the game at 57 in the second half. Throughout the game, Duke’s main offensive weapon was the talented Mason Plumlee. The sophomore forward, who seemed due for a breakout game, relied heavily on his athleticism to score 25 points—14 of which came after the Eagles tied the game at 57. Though he probably won’t be pulling any dream shakes soon , Plumlee finally displayed a decent postgame to complement his freakish athleticism. With the addition of 12 rebounds (6 offensive) and 5 blocks, Mason clearly notched the best game of his young career. Besides Plumlee, Duke saw most of its offensive production coming from Nolan Smith and Kyle Singler. The two captains combined for 32 points and 15 rebounds, a solid outing that helped push the Blue Devils to a tough win. Nolan (along with Kyrie to a lesser extent) continues to have turnover issues—he had six in this game and four against Colgate. With Kyrie emerging as Duke’s primary ball handler, a high turnover margin for a scorer like Nolan may mean more playing time for Seth Curry and Andre Dawkins, particularly if the two sophomores continue to shoot well from the perimeter. Coming off of a tough battle with Marquette, the Blue Devils suited up the next day to face third ranked K-State. In addition the game’s significance as a battle against another title contender, the matchup marked Coach K’s first opportunity to win his 800th game. Though the Blue Devils looked sluggish and lethargic against Marquette the day before, the crew dominated Kansas State throughout the entire game. Irving, the game’s star, showed the entire country why exactly scouts labeled him as the second coming of Jay Williams. His statline of 17 points, 5 rebounds, 6 assists, and 2 steals does not nearly provide enough credit to the sheer ease with which he managed the game. He attacked the rim at will and led a defensive effort that held Preseason All-American Jacob Pullen to a measly 4 points on 1-12 shooting. Apart from Irving, the Blue Devil offense manufactured their points through a strong shooting performance from the free throw line and from 3. Duke converted 50% of its threes vs. K-State’s 17.3%, but more importantly they notched a +13 differential at the free throw line. 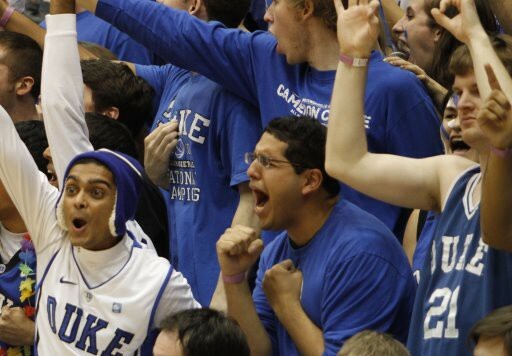 The Blue Devils also found reason to cheer with the performance of Andre Dawkins. Baby D and Seth Curry complete the most lethal backcourt in the country. The two continue to shoot well from beyond the arc, but more importantly they play relentless defense—Curry showed flashes of Ed Reed with his five steals. I should probably also mention that neither player regularly starts, highlighting just how deep this Blue Devil roster is. Interior Defense: Though Ryan Kelly and Mason Plumlee have filled in nicely for Lance and Zoubek, the duo needs to play with more toughness on both ends. This Wednesday’s match against Michigan State should provide a better gauge of Duke’s strength up front, but the Blue Devils will run into trouble come tournament time if they draw the likes of an Ohio State (Jared Sullinger and Dallas Lauderdale)or a Syracuse (Fab Melo and Kris Joseph). Mason’s Free Throw Shooting: Could the “Hack-a-Plumlee” turn into a college basketball staple this year? Probably not, but it is disconcerting to see how poorly Mason’s shooting from the charity stripe. His FT shooting percentage currently stands at 43%, a Shaq-like figure that screams second half liability on paper. Mason seems to be struggling with depth on his foul shot, with many of his misses falling short. Hopefully the poor shooting does not turn into a recurring trend, as Plumlee will continue to visit the line more as he develops into a low-post threat. In the final leg of the Devils’ road trip, the team traveled all the way out to the Great Northwest for Kyle Singler’s homecoming matchup against the Oregon Ducks and his younger brother, E.J. The game was scheduled in large part as a “thank you” gift for Singler staying all 4 years at Duke, in the classic Coach K senior tradition. As for the game itself, it unfortunately didn’t quite match up to the hype level set up by the advertising companies (see 100 foot tall poster of the Singler Bros in Portland). But, perhaps this was a blessing in disguise, as the Devils are in the midst of a hellishly tough stretch of games requiring travel around the country. Duke cruised to a 27 point victory Saturday afternoon, despite some sluggish first half play. The game started off with a Mason Plumlee block party while Kyrie simultaneously robbed the Ducks blind by recording 3 steals in just under 3 minutes of play. OUR Singler started off hot, and ended up torching the nets for a 30 point career high-tying night, all in the face of lil’ bro E.J. The only real troublesome aspects of this afternoon’s game were in the 2nd 10 minutes of the 1st half, when Oregon switched to a 3/4 court press with some success. Until Duke collectively calmed down (with some help from a Coach K “inspirational” chewout timeout), the Devils were having trouble breaking the press and were forcing a few too many turnovers for comfort. In the second half, however, all that changed. Duke snipers Andre Dawkins and Seth Curry did some serious duck hunting from long range, scorching the nets and putting the game out of reach once and for all. We saw a very, very scary second half run this afternoon, demonstrating the damage that our offense can do in a very short period of time. Specifically, Duke’s lead ballooned from 13 to 30 in under 5 minutes with help from Kyrie, Seth, Andre, and Kyle launching bombs from deep. If we shoot that well consistently…wow. All in all, it was a successful road trip for your Blue Devils, and we managed to bring home the first of hopefully many pieces of hardware this season. Next up is a wounded but still dangerous Michigan State team. But this time, we’ll be facing them in the cozy confines of Cameron. A billion game non-conference home win streak is on the line here, but with the Crazies raucous and the team hungry, we look forward to taking down Sparty. 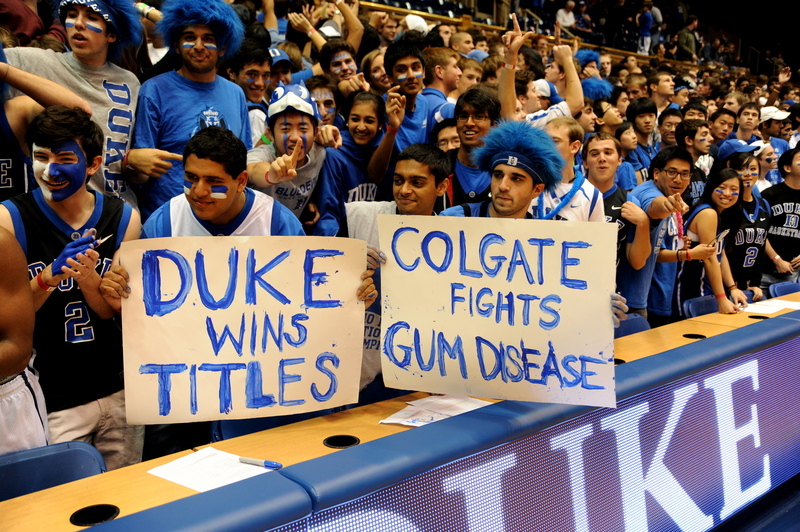 Duke trounced the Ohioans of Miami last night, 79-45. While some of us liveblogged, Crazie-Talk video master Arun was in Cameron enjoying the victory firsthand. Check out the video highlights below. Seth Curry led the way with 17 points, knocking down 3 of 4 triples. Kyrie Irving overcame some early foul trouble to finish with 13, while Nolan Smith had an an efficient 10 point, 7 dime night. Smith’s passing was outstanding: several of his dimes are on display in DBP’s Top 5 plays video. Kyle Singler struggled from the perimeter—missing all four of his 3’s—but finished with an admirable 8 points and 5 boards. Singler aka Buckets also picked up 2 of Duke’s 10 steals on the night. 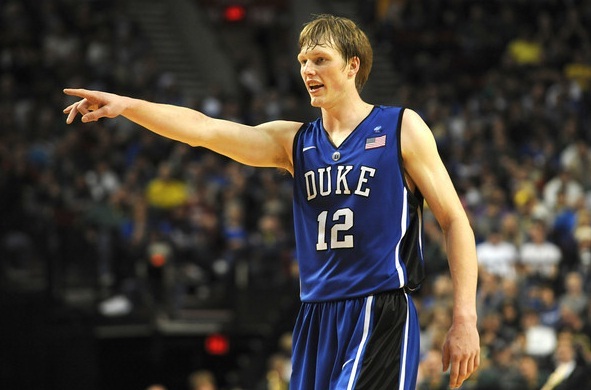 Mason Plumlee and Ryan Kelly started in the forward positions. MP2 performed much better than he did against Princeton, patrolling the glass for 14 caroms and chipping in 10 points. Kelly, who added 7 points and 3 boards, looks much improved from last year. “White Delight” demonstrated a knack for position on rebounds and made intelligent reads all night, even connecting for an inbound alley oop in the final minutes (a la Scheyer to Singler in last year’s title game). Kelly’s added body muscles makes him a factor in the post—a veritable vacuum area with the departure of Zoubek and Thomas. Miles Plumlee continues to struggle offensively, and may have injured a finger late in the game. We await further details on that injury, and hope that the elder Plumlee makes strides before next week’s showdowns with Marquette and Gonzaga/Kansas State. I think he needs that beard back. Enjoy our highlights, and leave comments below! We will be back in action liveblogging and videotaping for Friday’s game against the Toothpaste U. The regular season officially started Sunday night as the Devils faced the Princeton Tigers, one of the favorites to win the Ivy League this year, in the O’Reilly Auto Parts CBE Classic. After a bit of a slow start, Duke pulled ahead and won by a final score of 97-60. To see some of our coverage from the game, be sure to check out our live blog, led by the Jake himself, all the way from Ireland. The two senior captains, Nolan Smith and Kyle Singler (who gets buckets, as mentioned above), led the way for Duke tonight, finishing with 22 and 16 points, respectively. Nothing unexpected there. Singler and Smith combined to shoot a very solid 17 of 25 from the field. Kyrie Irving, in his first regular season game donning a Blue Devil jersey, had an impressive 17 points and 9 assists (not to mention a quite a few crossovers and trick dribbles). The Devils struggled offensively in the first half but combined to shoot 67% (20-30) after the intermission. Joining Singler, Smith, and Irving in double digit scoring were sharpshooters Andre Dawkins and Seth Curry, who scored 13 and 14 points, respectively. Dre and Seth combined for six three pointers and a bevy of pretty jumpers and floaters. The team as a whole shot 53.8% from beyond the arc, going 14 of 26. Princeton switched from a man-to-man to a zone midway through the first half, and the boys in royal blue took full advantage. Though the game ended in a blowout, this team still has a bit of work to do on the interior. No frontcourt player reached double figures, and no player had more than four rebounds for the entire game. For the second week in a row, Duke was outrebounded in the first half. Luckily, that didn’t factor too much into the final score, but I’m sure it’s something Coach K will focus on in the coming days. Too many times did the Duke big men allow a smaller opponent to get the rebound. Before we get too critical though, let’s remember the season’s only just begun, and this was an incredible way to kick it off. Check out highlights straight from Section 17 below. On Sunday night, the Cameron Crazies wore Viking helmets in memory of Line Monitor Drew Everson, who recently tragically passed away. Everson could always be found wearing his Viking helmet in Cameron. 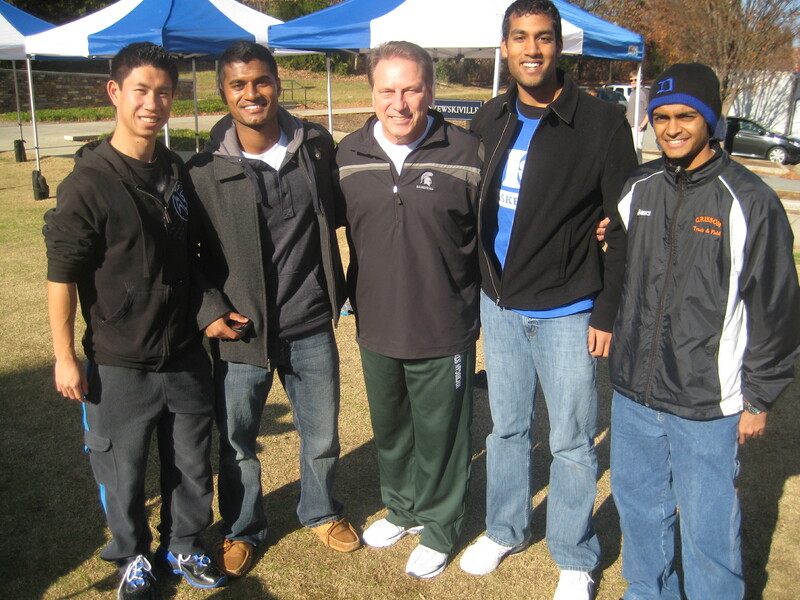 Duke is not the same without him, and he is truly missed. Rest in peace, Drew.